Description: Book of 16 polymeric engravings made from photographs by James Brown; each print is removable and signed and dated. 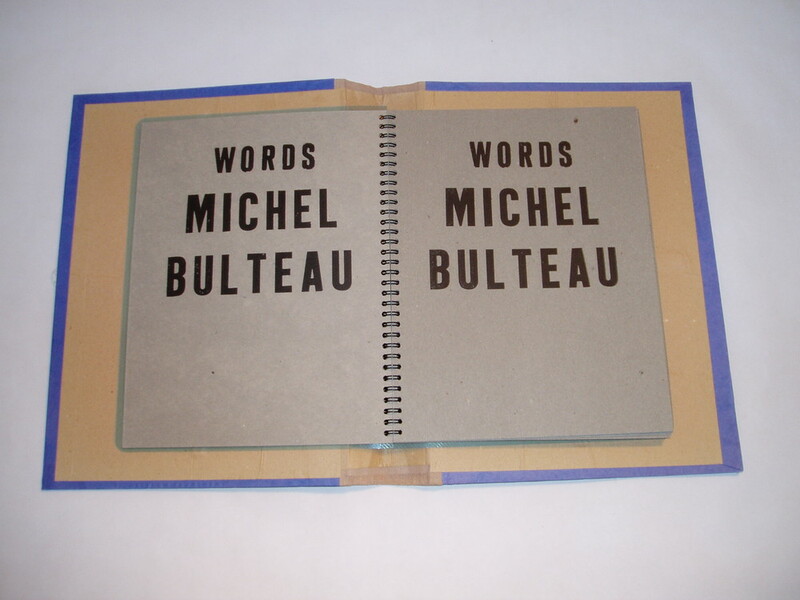 The text is a poem Lead by Michel Bulteau, written in 2002 in Paris for this book, and printed in letterpress text. 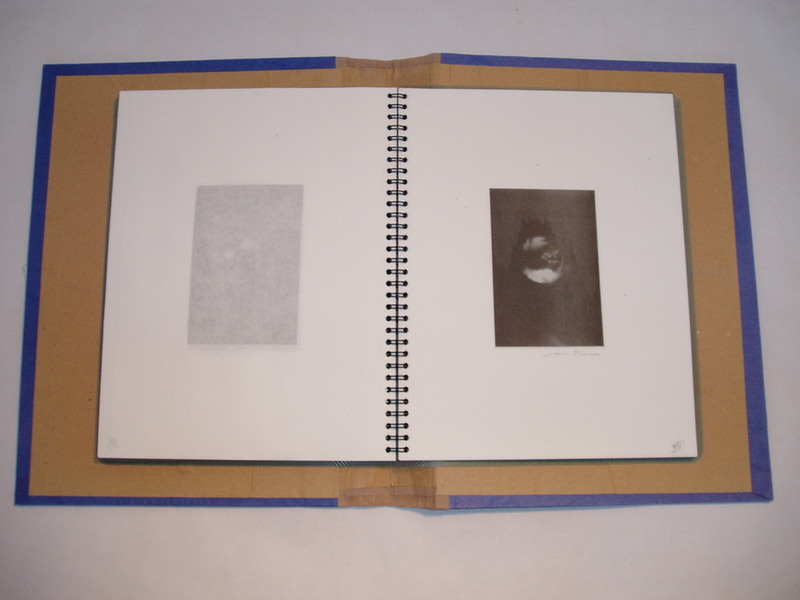 The pages of the book are spiral bound with blue transparent plastic sheets front and back. This is contained in a hard cloth and paper bound cover with white ribbon ties, handmade in Greece. 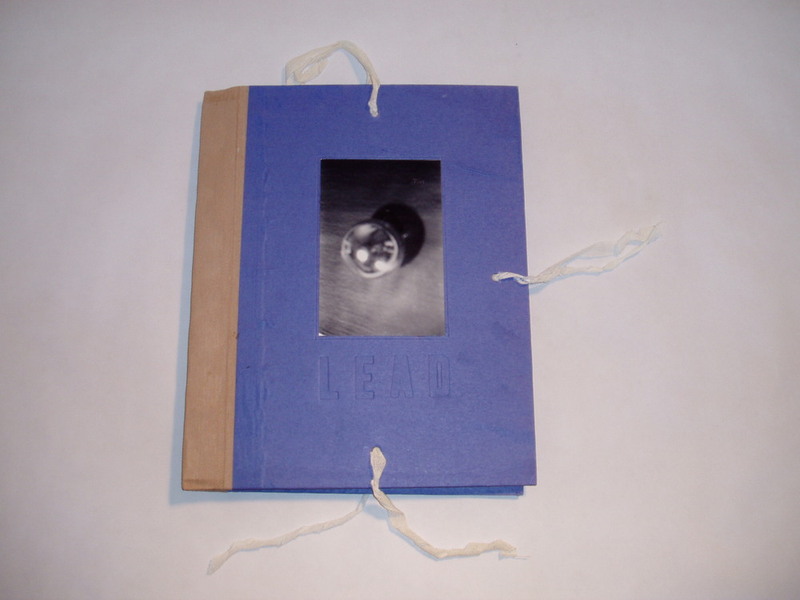 On the cover there is an original photograph and the title is embossed. Attached to the inside back cover is a signed and dated, removable multiple of 7 black and white photographs. 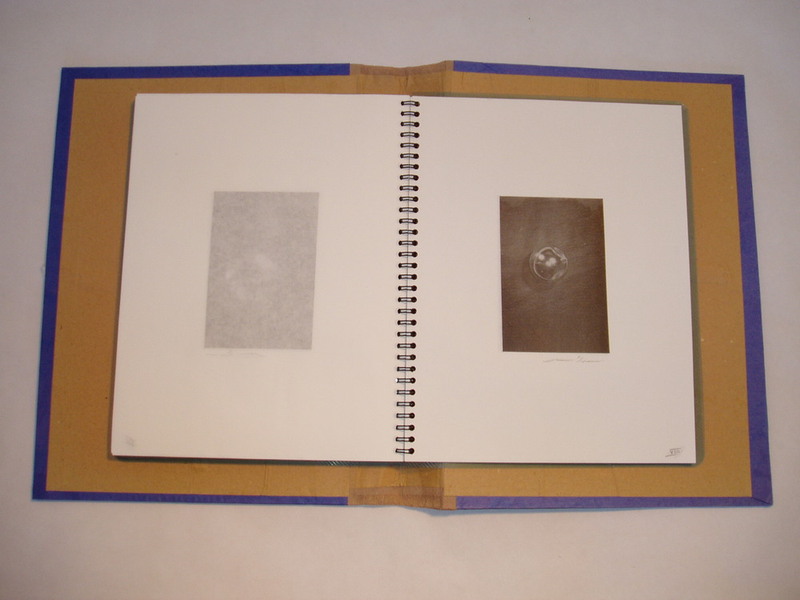 The book also contains title pages and a colophon. Size: The cover is 34 x 27.5 cm. 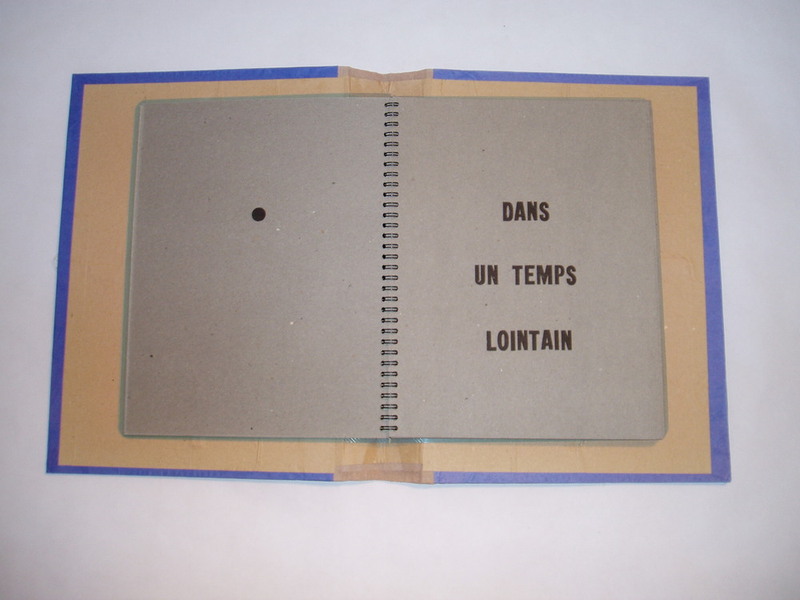 (13 ¼” x 10 ¾”); the book is 27.5 x 22.5 cm. (10 ¾” x 8 ¾”). Paper: Polymeric engravings printed on white Interleaving Text printed on Mina Gris. Printer: Typography and engravings by Linotipográfica Quintas, Oaxaca. Publisher: Carpe Diem Press, Oaxaca, Mexico. Notes (1): All signed and numbered by the author and artist. 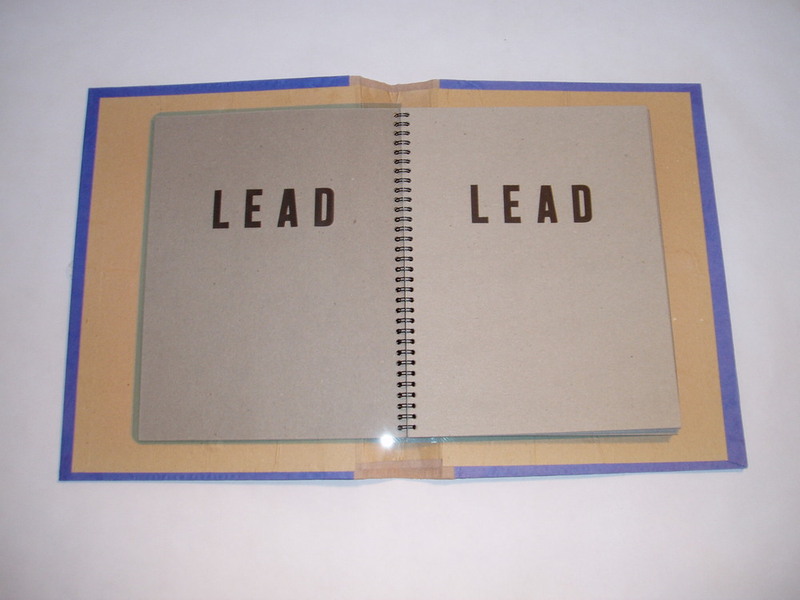 Notes (2): This book was published on the occasion of the exhibition “Lead” by James Brown at the Couvent des Cordeliers, Paris, December 2002 and at the MCAC Malaga, Spain, July 2003. A fully illustrated catalogue is available through MCAC.